NO PURCHASE NECESSARY TO ENTER OR WIN. A PURCHASE DOES NOT INCREASE YOUR CHANCES OF WINNING. VOID WHERE PROHIBITED. 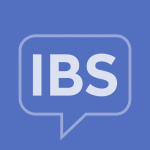 The IrritableBowelSyndrome.net and Holiday Giveaway (the “Promotion”) begins at 12:00:00 AM Eastern Time (“ET”) on December 13, 2017 and ends at 11:59:59 PM ET on December 22, 2017 (the “Promotion Period”). The computer clock of the Sponsor (defined below) is the official time-keeping device in the Promotion. ELIGIBILITY: The Promotion is open only to legal residents of the 50 United States and the District of Columbia, who are at least 18 (except in Alabama and Nebraska must be at least 19 and in Mississippi at least 21) years of age or older as of date of entry. Employees, Contributors, Moderators, Officers and Directors of Health-Union, LLC. (“Sponsor”) and their affiliates, subsidiaries, (collectively, “Administrator”) and their immediate families (parent, child, sibling & spouse and their respective spouses regardless of where they reside), and persons living in the same households as such individuals (whether related or not) are not eligible to participate in the Promotion. HOW TO ENTER: Beginning Wednesday, December 13, 2017 at 12:00:00 AM ET, follow the instructions to enter the competition by leaving a comment on the post telling us: How do you cope with stress and IBS around the holidays? On www.IrritableBowelSyndrome.net. One (1) entry per person. Entrants must enter before 11:59:59 PM ET on Friday, December 22, 2017 in order to be eligible to win the prize. Entries received after this date and time will not be included in the selection process. The winner will be announced via direct email and will be directed to contact@irritablebowelsyndrome.net in order to collect their prize. All entries will be entered into a prize drawing and two (2) winners will be randomly selected by Health-Union, LLC. using a random number generator. The decisions by Health-Union, LLC are final on all matters relating to this Promotion. Odds of winning will depend upon the number of eligible entries received. PROMOTION PRIZE: Promotion Prize will be awarded consisting of 2 (2) ChronicAlly Box, a chronic illness woman’s health and beauty subscription box, containing 3-6 full-sized health and beauty products. Promotional Prize value is estimated at $45. GENERAL PRIZE RESTRICTIONS: The Promotion Prize will be fulfilled approximately four (4) to six (6) weeks after the Promotion has ended. Sponsor is not responsible for late, lost, stolen, damaged, delayed, or undelivered prizes. PRIZE IS AWARDED “AS IS” WITH NO GUARANTEE. ALL WARRANTIES, WHETHER EXPRESS OR IMPLIED, INCLUDING THE WARRANTIES OF MERCHANTABILITY AND FITNESS FOR A PARTICULAR PURPOSE, ARE HEREBY DISCLAIMED BY THE SPONSOR. ALL PRIZE DETAILS ARE AT SPONSOR’S SOLE DISCRETION. ANY COSTS AND EXPENSES ASSOCIATED WITH PRIZE ACCEPTANCE AND USE NOT SPECIFIED HEREIN AS BEING PROVIDED IS WINNER’S SOLE RESPONSIBILITY. The prize is not transferable and there is no cash alternative. No substitution or transfer of prize by winner permitted, except that Sponsor reserves the right to substitute a prize of equal or greater value in the event that the advertised prize is unavailable. All applicable income taxes are the sole responsibility of winner. Return of any prize notification as undeliverable may result in disqualification and selection of an alternate winner. NOT ENDORSED BY INSTAGRAM, FACEBOOK OR TWITTER: By participating in this Promotion, you acknowledge that this Promotion is in no way sponsored, endorsed, or administered by, or associated with Instagram, Facebook or Twitter and release Instagram, Facebook, and Twitter from any and all liability arising from or related to this Promotion. The information you are providing for this Promotion is being provided to Sponsor and not to Instagram, Facebook or Twitter and will be used to notify you if you have won. IrritableBowelSyndrome.net & Holiday Giveaway List Request, ℅ Chris Hall, Health-Union, LLC., 1217 Sansom Street, 2nd Floor, Philadelphia, PA 19107.